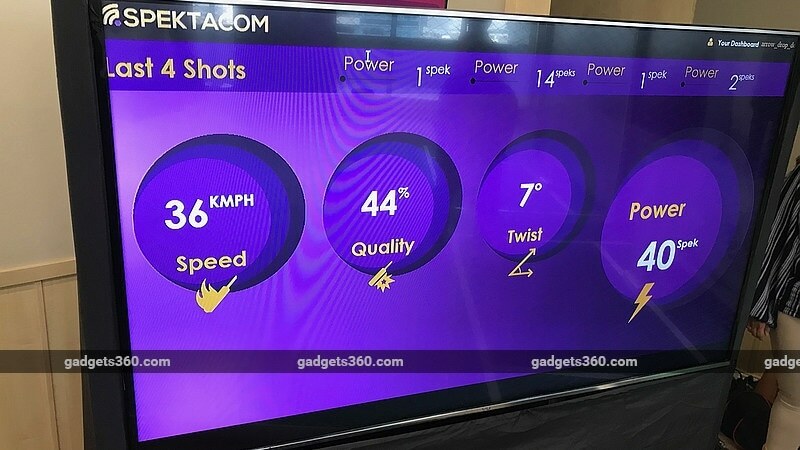 Spektacom, a sports tech company founded by former Indian cricketer Anil Kumble, unveiled Power Bat - a lightweight sticker that can show four parameters of data in real time. The Power Bat is powered by Microsoft Azure Sphere and its unique feature is that it can provide four parameters of data about any shot a batsman plays in real-time. The Power Bat has to be stuck to the shoulder of the bat and it weighs less than five grams. The parameters captured by the Power Bat are speed off the bat, twist of the bat after the shot is played, quality of the shot (measured via how much of the ball hits the sweet spot of the bat), and the power of the shots. For the last one, Spektacom has introduced a new unit called Speks. The greater the number of Speks, the more powerful the shot, Spektacom says. Microsoft's Azure Sphere is the tech powering the Power Bat. Via a sensor in the stump, the data is relayed in real-time to the broadcaster. After every shot is played, the broadcaster will be able to show the four parameters mentioned that Power Bat measures. According to Spektacom, during training sessions this data can be obtained via an app that is yet to be launched. Charging the device takes 90 minutes. At the event Anil Kumble said it has wireless charging support and it lasts two days on a single charge. "We haven't come to the amateur level yet I am someone who wants to reach out to every body. It will be affordable. We still haven't figured out the price yet," Kumble said. The Power Bat sticker has a communication device on the bat that talks to the device on the stump. Azure Sphere is powering this tech, which has a Linux-based Azure OS, Azure IoT tech on the stump box and Azure cloud online. We've seen similar products in sports tech before, especially Speculur BatSense, which can be affixed to the top of the bat's handle. However, Spektacom is betting big on the fact that its product can offer real-time data. The company has its sights set on other sports as well. Even though the Power Bat is targeted at cricket, the small size of the chip could allow people to track data in sports such as football, kabaddi, among others.